Thank you to all the lovely people who have shared or featured the things I've made. I'm so thankful for your support. Here's a few of them. 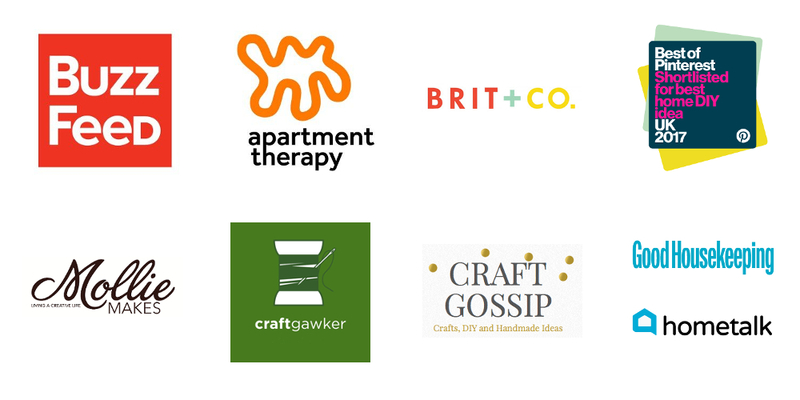 Buzzfeed, Apartment Therapy, Good Housekeeping, Curbly, Craft Gossip, Delineate Your Dwelling, The 11 Best and Craftgawker. If you'd like to publish my work like in this magazine please get in touch here or email me at gatheringbeautyblog@gmail.com to discuss.